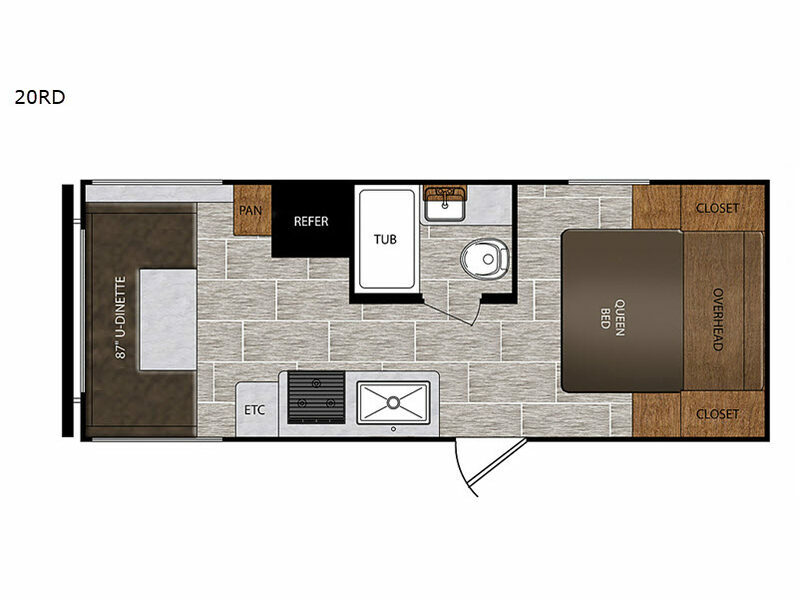 When it's time for your next getaway, then hook up quickly in this Avenger ATI travel trailer by Prime Time RV and start making memories. You will find full kitchen amenities for the cook to prepare and serve meals to everyone, and there is a full bathroom that includes a tub/shower with a curved shower curtain for more elbow room. You are sure to appreciate the sleeping space for four people with the U-shaped dinette in the rear and a queen-size bed in the front.